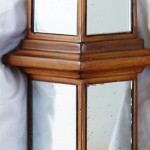 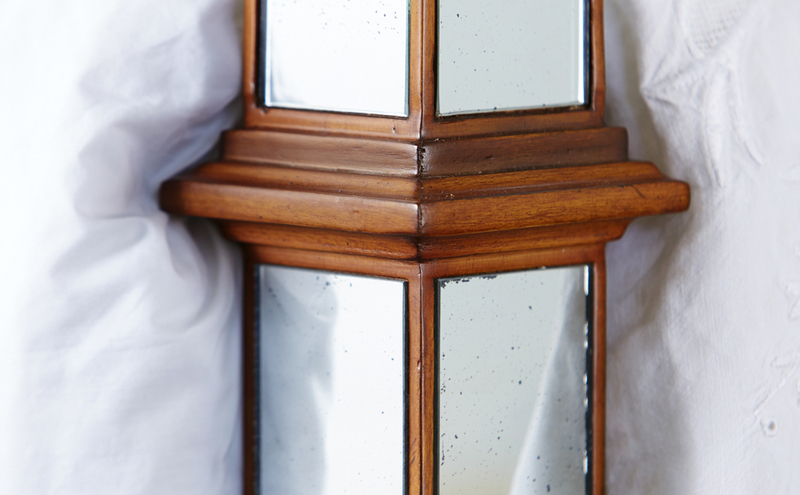 Mirror and wood finished four poster. 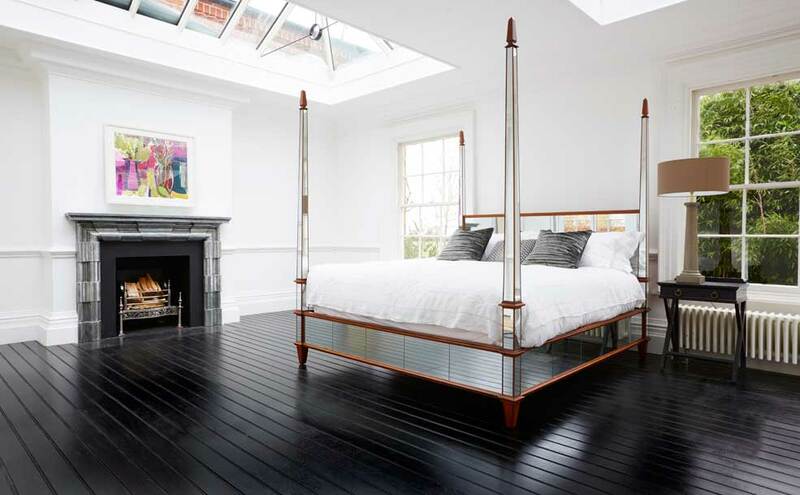 A romantic four poster with soaring mirror posts and glass panels on the sides, foot and headboard. 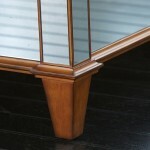 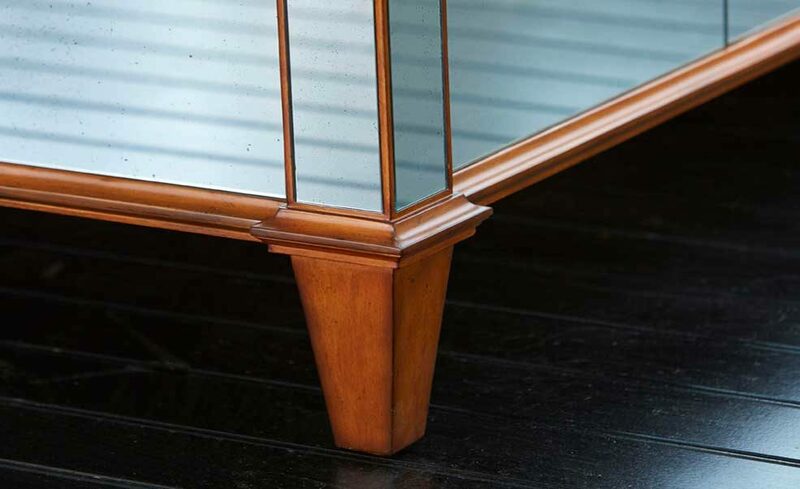 The mahogany wood trim provides a contrast to the glass and gives dramatic emphasis to the overall shape.